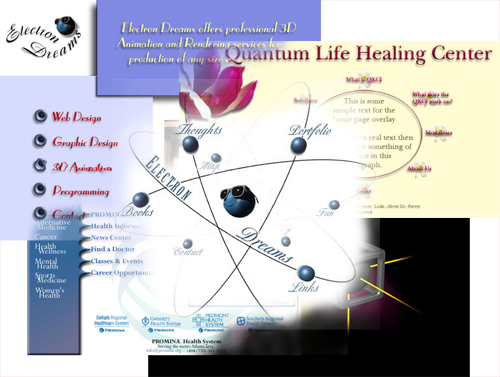 This area of Electron Dreams showcases a few of the web and multimedia interface designs I have created over the years. These sites were designed for employers, freelance clients, family and also for my own use. Click on the icons below to see the images and a description of each one. Please contact me if you have any questions.